/ Modified jan 14, 2015 2:32 p.m.
Action at the 2014 Tucson Mexican Baseball Festival. 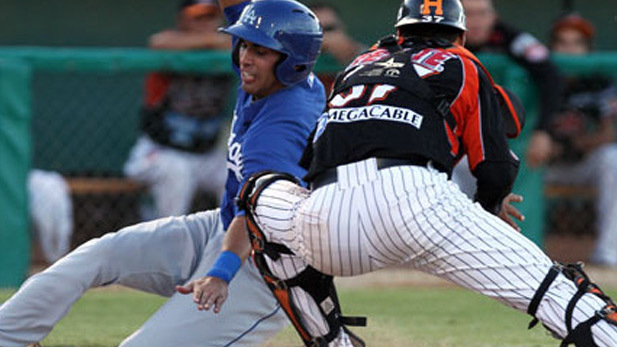 Kino Sports Complex will host four teams from Mexico's Liga Mexicana de Beisbol throughout March. Teams from Tijuana, Cancun, Campeche and Veracruz will hold preseason practices and play 12 games in Tucson. Liga Mexicana De Beisbol is the top league in Mexico, the equivalent of AAA minor league in the U.S., placing it one step below Major League Baseball. The games are scheduled to start March 13, and will be played as weekend double-headers through the rest of the month. Organizers are in talks to add more games, including trying to bring teams from the Phoenix area's Major League Baseball's preseason Cactus League to Tucson for inter-league games with squads from Mexico.